6" x 9", with a matte opening 9" x 12"
This is an original production cel from the Hanna Barbera Studios production of Jetsons: The Movie (1990). 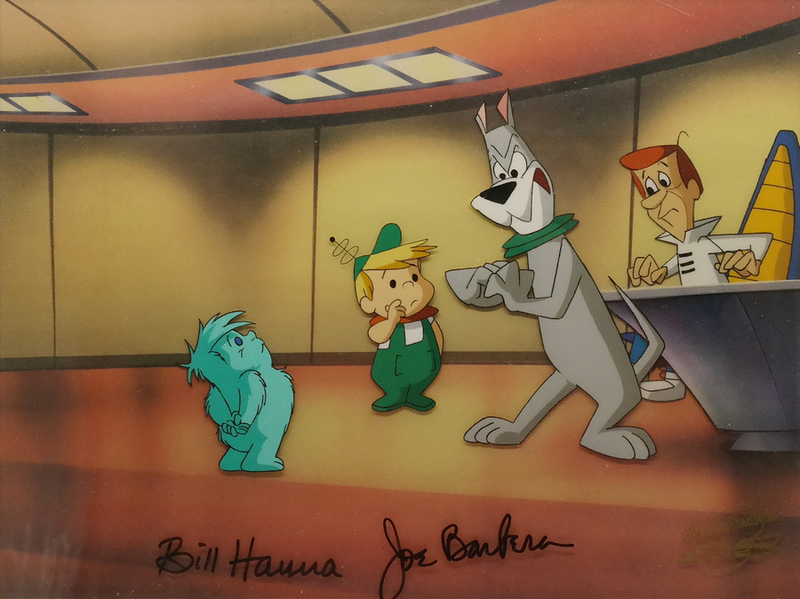 This hand-painted cel features George, Elroy, and Fergie Furbelow watching a very frustrated Astro, and was created at the studio and used during the production of the film. 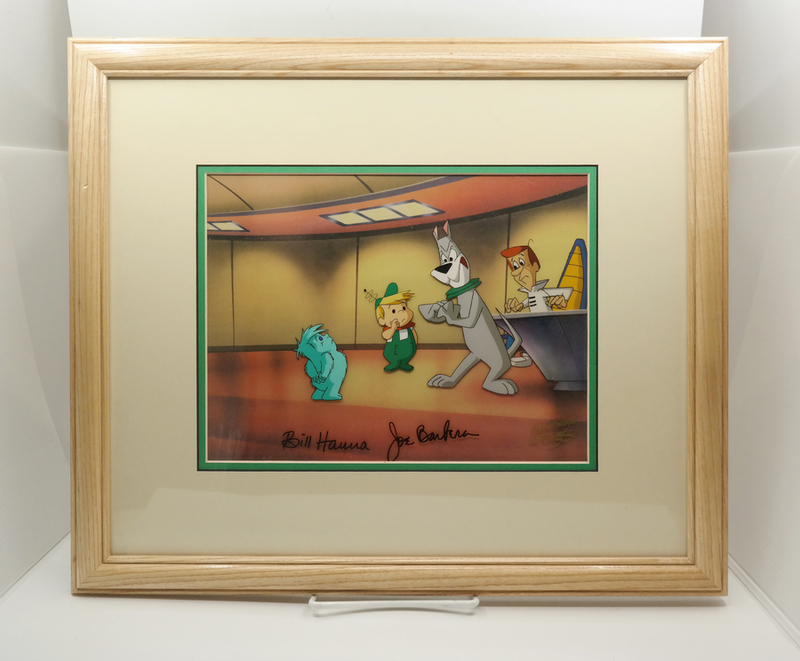 The overall measurements of the piece are 17.75" x 20.5" and the image itself measures 6" x 9", with a matte opening 9" x 12".The cel is in very good condition, unexamined out of frame, is paired with a color copy reproduction background, and is hand-signed by Bill Hanna and Joe Barbera.